Start taking classes at First Class Fitness and other studios! 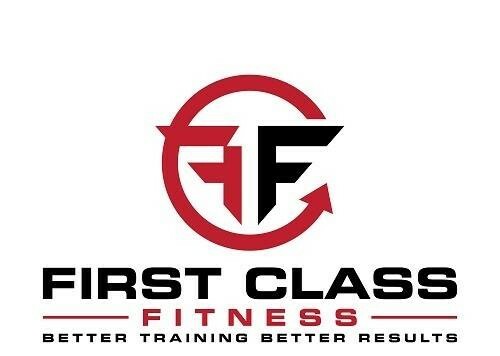 First Class Fitness is a fitness studio that offers a wide variety of fitness classes from high intensity cardio blasters and resistance circuits to low impact restorative training. Please bring a towel and wear athletic gear. The studio is located behind Price Chopper beside the Kansas City Sports Club. Please note, First Class Fitness schedule will be down until the spring, due to relocation reasons. Wow. What a workout! I have to say...I walked in and didnt know what to expect. Trevor was extremely warm and welcoming. I do workout regularly so I knew the movements and felt very comfortable. I loved the format of the class. I know Ill be sore tomorrow - but definitely worth it. Overall - I really liked the workout. It was different than going to a big box studio - OrangeTheory, Shred415, etc. I love the concept of lifting weights. Going at your own pace but still in an organized format. I cant wait to visit this space again. Also about the studio - very clean, nice equipment, loud music, and FANS! I love when Im sweating and then go to turn and theres a fan in my face! 5 out of 5 stars! Please check this place out if youre looking to switch things up a bit! Awesome workout. Gym is very nice. Clean and well kept. The instructor was great. Helped give modifications and encouragement. He checked my form and helped out. Class was tough. A very good HIiT experience that for upper body AND lower body!!! Trevor was super helpful! He and the other participants were very welcoming. Really hard workout. Instructor was great and always made sure I had correct form. Trevor was fantastic! First Class Fitness is a clean, organized gym! Trevor was helpful in correcting form and created a fantastic HIIT class! I will definitely be back! Tough but simple. Nothing is overly complicated which means you can actually do the workout and get awesome results. This class was very challenging, but packed an amazing workout in 45 minutes. The instructor was very nice and encouraging. Great class! Would highly recommend to anyone! Trevor was a great teacher and the class kept me motivated the full 60 minutes. This was such a hard workout but Trevor talked me through it and encouraged everyone along the way. Truly a good workout.